Chesneys Stoves Ready to View as from 19th June!! 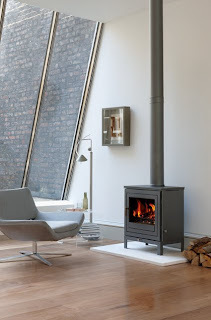 As mentioned in a previous note, we have added another high quality British designed stove range to the ones already on display in store - Chesneys-. Their Stove Collection will be ready for viewing for the weekend of 19th - 20th June and it will include the beautiful new Hampstead appliance (pictured above) on a log store that will be under fire. Just came & have a look for yourselves as we will believe that they are truly amazing!